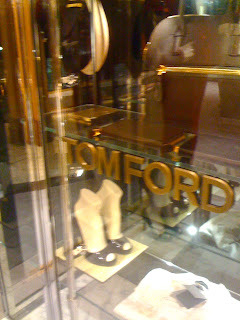 If you are familiar with me, for sure you already know my love for Tom Ford. Not only for his astonishing collections but also for the way he changed the world and the way he is still doing this. For sure he is one of my favorite designers and I truly adore his movie and I can't wait for a bis. So, you can't imagine how happy I was when I saw Tom Ford's "Visionaries: inside the creative mind" video. Just one year ago I could kill for this video. Infact, as I've written here, my degree dissertation was all about fashion and films, and my degree speech all about "A Single Man". Also the photographer (the usual one who do photos at degree cerimonies) told me: "Oh, that film is wonderful!". So I literally looked everywhere for Tom Ford's interviews, whatever related to him and to his movie. It was also a great excuse to buy the big, black book, the Tom Ford book. I can speak and write for hours about his movie but what I want to share with you today is what is a plus in Tom Ford. The research and the attention gives to details. If you go inside one of the shops (and please, go!) you can feel what I mean. Not just understand, it's more about a feeling. Is more about you, your experience inside the shop. First of all the shop is so beautiful, curated. Dressing rooms are big, probably bigger than my room. For sure bigger than my closet. Shop advisors are dressed like Tom Ford's men, with their 3-pieces suits (with the traditional Tom Ford's 4,5cm trousers hem), changed every 3 months, as Mr Ford instructions. 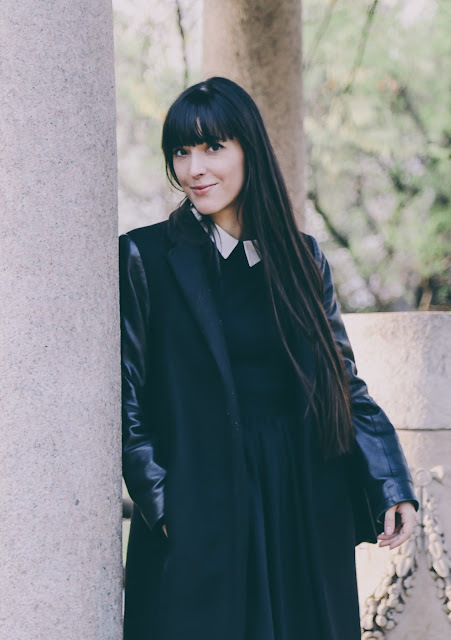 Women are black dressed with a silk camisole and black trousers. The first time I came in was during VFNO with Anjeza and her boyfriend. We were nicely dressed but we felt so badly dressed to come inside this shop. We were shy. Thankfully Andrea wore a suit so he broke the ice, entered inside the store and so we did the same, shy and respectfully. Tom Ford store it's like a museum where dresses, suits and accessories are like pieces of art. If you consider fashion as an art (and I do) they really are. Have you ever been inside a Tom Ford shop? I think Tom Ford just got a new fan!